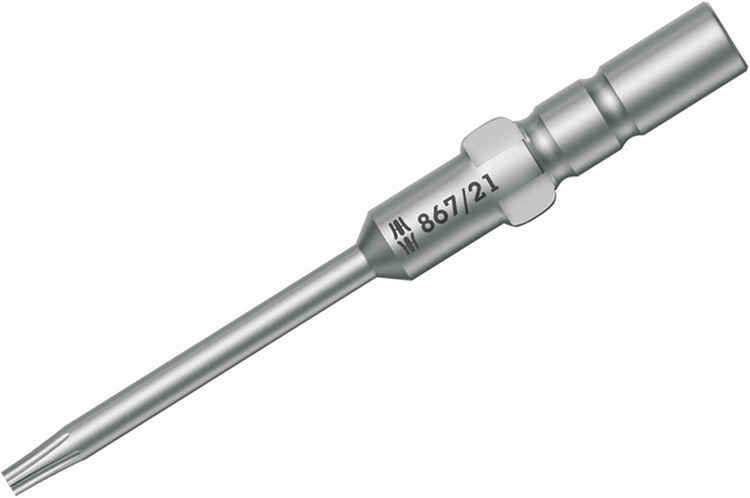 Design: Precision hardened for sensetive applications. Wera HIOS Torx bits permit the transfer of high torque loads and have a distinctively long service life. Wera HIOS Torx bits have been designed for demanding applications in trade and industry. Wera HIOS Torx bits offer dependable work and a long product service life because of their high precision profile design and outstanding concentricity features.